Many have fallen for the great deception of reincarnation, but scripture sheds a light on how this life we have been given is a gift from God and no one is coming back to relive till they get things right as the lie of reincarnation teaches. It is written satan came to kill, steal, and destroy and he tries his best to take in as many to his lies as he possibly can. We only live once and not many lives! (Hebrews 9:27-28). And as it is appointed unto men once to die, but after this the judgment: So Christ was once offered to bear the sins of many; and unto them that look for him shall he appear the second time without sin unto salvation. How ridiculous a belief that a holy God would create one a human being only to have them return as another person or an animal form. Why would God do such a thing? The only changing of one’s body is from the natural (Flesh) to a spiritual body! (1 Corinthians 15:46-53). Howbeit that was not first which is spiritual, but that which is natural; and afterward that which is spiritual. The first man is of the earth, earthy; the second man is the Lord from heaven. As is the earthy, such are they also that are earthy: and as is the heavenly, such are they also that are heavenly. And as we have borne the image of the earthy, we shall also bear the image of the heavenly. Now this I say, brethren, that flesh and blood cannot inherit the kingdom of God; neither doth corruption inherit incorruption. Behold, I shew you a mystery; We shall not all sleep, but we shall all be changed, In a moment, in the twinkling of an eye, at the last trump: for the trumpet shall sound, and the dead shall be raised incorruptible, and we shall be changed. For this corruptible must put on incorruption, and this mortal must put on immortality. 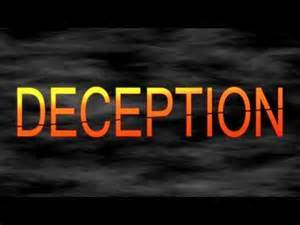 Revelation tells us satan has not just deceived a few but the whole world to buy into his lies! As some believe reincarnation exists his other lies are witchcraft, sorcerers, and those who deal with familiar spirits also known as mediums and are another deception to steer people from the love and truth of God. Julia, I do agree than every human being is appointed a day to die and be judged. I will remind you that God’s ways & thoughts are as far above us as the heavens are from earth. There have been millions who have been born, lived, died in parts of the world where they never heard about Jesus Christ. Would a just, loving God judge them to hell for something they did not deny or accept? Jesus Christ told his listeners thousands of years ago that some standing here would not pass away until they saw the Son of man coming on the clouds in his kingdom. Are they still alive? Is not their dust returned to the earth? Every ear shall hear the Gospel of Christ. Then the end shall come. By speaking in absolutes, you limit your receiving from the Spirit that raised Christ from the dead. I John have been here for longer than you can imagine, tarrying on the coming of the Lord Yeshua. I have seen many go and be judged. I have seen many in countless skinned forms over the years. Beloved; believe not every spirit. They shall be recognized by the fruit they produce. God bless thee. Keep thee. Yah enlighten thy mind open thy eye single according to his mercies in Christ Jesus. Donald John…..I whole heartedly believe Donald if one did not have the ability to learn the truth of Christ they most definitely would have the chance at the Great White Throne judgement to accept Him. This post was written in light of the dangers of accepting reincarnation as truth, but in fact is not biblical! Superstition is present in our day, as in Paul’s day when he taught at Mars Hill who God truly was. God knew it was out of ignorance they worshipped AN UNKNOWN GOD, but commands all men everywhere to repent. ( Acts 17:22-30 ).